This is yet another variety from my man Troy Primo! 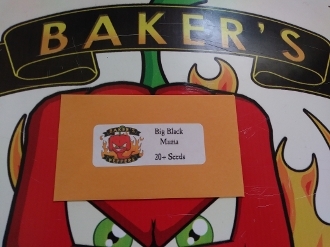 This awesome variety is now available from us here at Bakers Peppers! There will be 20+ Seeds per pack. It will mature from green to black in color. It will grow from seed to harvest in 160 days. Purchase yours today!!! !